G’day! 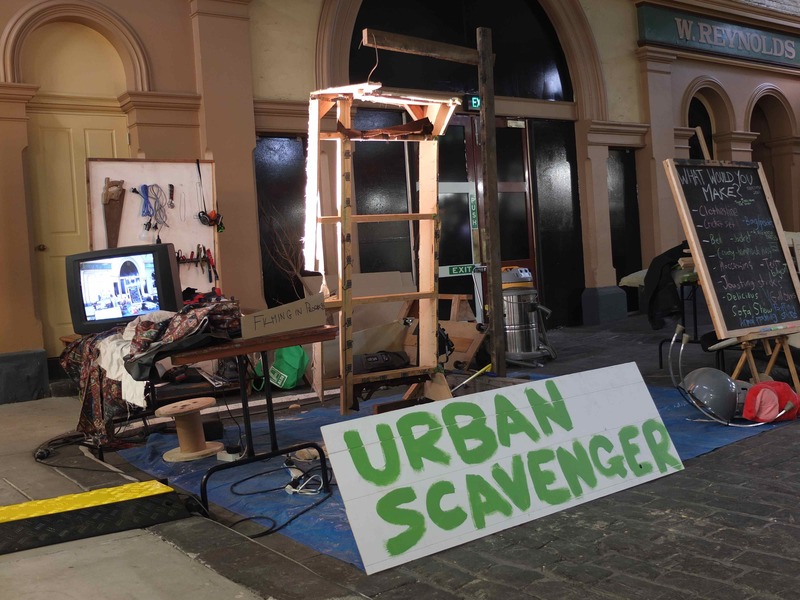 Thanks to everyone who came down last weekend to check out Urban Scavenger at Eurisko! Had a great time doing it and some good chats with people. The novelty of having a couch strung up on a large meathook in the Meatmarket seemed to be a bit of a winner too. Keep an eye out here for more details if you’re keen to see what transpires. ‘fresh cuts’?? Jones St has a lot to answer for! !